With its Chang’e 4 mission, China hopes to be the first country to make a soft landing, which is a landing of a spacecraft during which no serious damage is incurred.The moon’s far side is also known as the dark side because it faces away from Earth and remains comparatively unknown. It has a different composition than sites on the near side, where previous missions have landed. 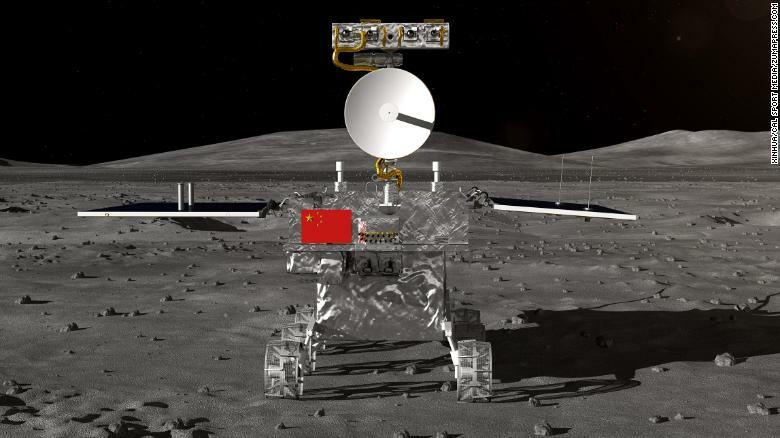 If successful, the mission would propel the Chinese space program to a leading position in one of the most important areas of lunar exploration.China landed its Yutu, or “Jade Rabbit,” rover on the moon five years ago and plans to send its Chang’e 5 probe there next year and have it return to Earth with samples – the first time that will have been done since 1976. A crewed lunar mission is also under consideration. Chang’e 4 is also a lander-rover combination and will explore both above and below the lunar surface after arriving at the South Pole-Aitken basin’s Von Karman crater following a 27-day journey. A Long March 3B rocket carrying a lunar probe blasted off at 2.23am on Saturday from the Xichang Satellite Launch Center in Sichuan Province in southwestern China, the official Xinhua News Agency said.That site is judged to be the oldest impact crater in the entire Solar System, making it an ideal collecting ground for water ice and a rare hydrogen isotope carried on the Solar wind. Both have the potential to power future interplanetary missions. The lander, dubbed Chang’e-4 (Moon Goddess 4), will touch down inside the crater to survey its contents. It will also reportedly experiment on low-gravity plant growth. It will also perform radio-astronomical studies that, because the far side always faces away from Earth, will be “free from interference from our planet’s ionosphere, human-made radio frequencies and auroral radiation noise,” space industry experts aid.. China conducted its first crewed space mission in 2003, making it only the third country after Russia and the US to do so. It has put a pair of space stations into orbit, one of which is still operating as a precursor to a more than 54-tonne station that is due to come online in 2022. The launch of a Mars rover is planned for the mid-2020s. To facilitate communication between controllers on Earth and the Chang’e 4 mission, China in May launched a relay satellite named Queqiao, or “Magpie Bridge,” after an ancient Chinese folk tale. China’s space program has benefited from cooperation with Russia and European nations, although it was excluded from the 381-tonne International Space Station, mainly due to US legislation barring such cooperation amid concerns over its strong military connections. Its program also suffered a rare setback last year with the failed launch of its Long March 5 rocket. Chang’e-4 will likely touch down on the Moon’s surface on December 31.China has focused its space efforts on the Moon since its space program was initiated in 2004. Two probes have been put in Lunar orbit, Chang’e-1 and 2. The Chang’e-3 lunar lander was the first since 1976.